l 6° FWMH slow axis (horizontal) and 28° FWMH fast axis (vertical). Normal beam aperture is 1um by 5um. The laser emission aperture sits 0.75mm behind the top of the TO-can. The lateral position tolerance is +/-0.2mm from the header center. 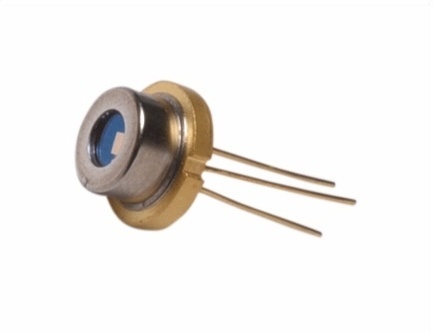 To maintain wavelength-stabilized, single-frequency performance the TO package device need to be operated within a stabilized temperature range. The main thermal path is through the base plate. 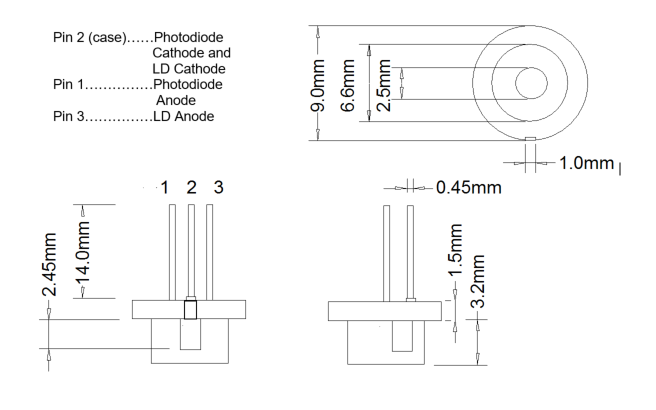 The user must supply adequate heat-sink capability when operating Photodigm Laser Diodes mounted in 9mm packages.